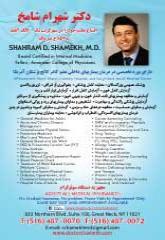 Attorneys And Lawyers | Omrani Alex P.C. 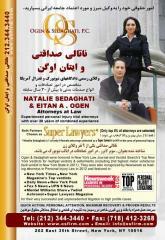 | Iranian Yellow Pages by AHA, Inc.
Home | Attorneys And Lawyers | Omrani Alex P.C. Determined to represent the rights of injured individuals, Omrani & Taub, P.C. has grown to become one of the most distinguished firms in New York State in the field of personal injury law. Representing clients from a diversity of backgrounds, Omrani & Taub prides itself in the caring support and responsive attention provided to its clients' cause against insurance companies and large corporations, regardless of case size. As the firm has grown, its founding principles remain intact, ensuring Omrani & Taub's promise of a no nonsense advocacy for the rights of the injured.